A stay at City Tempo places you in the heart of Melbourne, within a 10-minute walk of Queen Victoria Market and Melbourne Central. 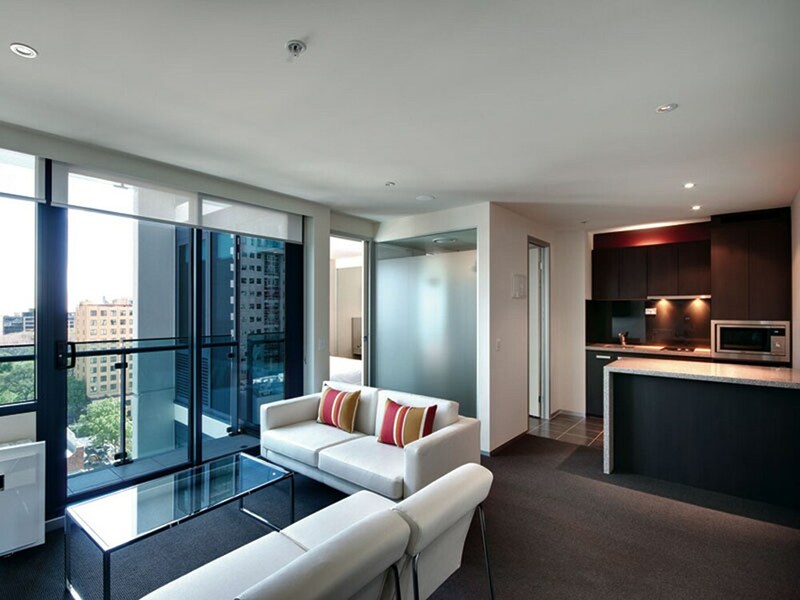 This 4-star apartment is 0.6 mi (1 km) from Bourke Street Mall and 0.5 mi (0.8 km) from RMIT University. Make yourself at home in one of the 160 air-conditioned rooms featuring kitchenettes with refrigerators and stovetops. 32-inch LCD televisions and iPod docking stations are provided, while complimentary wireless Internet access keeps you connected. Conveniences include phones, as well as desks and microwaves. Take advantage of recreation opportunities including a sauna and a fitness center. This apartment also features complimentary wireless Internet access and concierge services. City Tempo features a sauna and a fitness center. Wireless Internet access is complimentary. This business-friendly apartment also offers tour/ticket assistance, concierge services, and laundry facilities. Limited onsite parking is available on a first-come, first-served basis (surcharge). City Tempo is a smoke-free property. Cribs (infant beds) are available for AUD 17 per night.